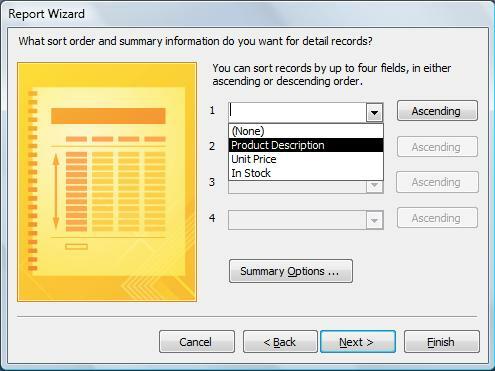 To finish this course, we will learn how to use the Report Wizard. To do this, we will create a Report on our "Products" step by step. First, we will go to the Reports sub-menu on the Create Menu. 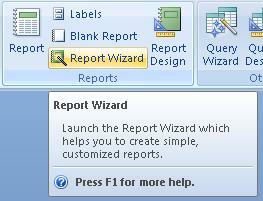 Then, we will click on the "Report Wizard" option. 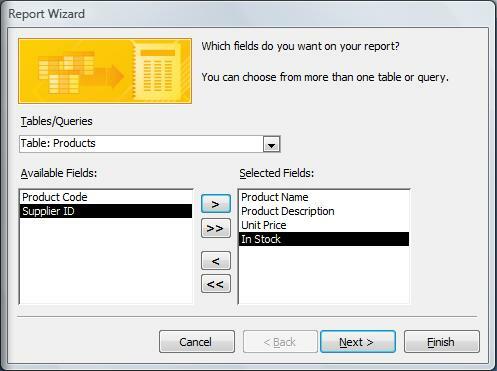 This will bring out the "Report Wizard" window. We select the "Products" table and the fields we will need. After we click on "Next", we will get a new window which will asks us the level of grouping we want. We will group it by the "Product Name". We can create several grouping levels. In the next window, we can decide on the order in which we want our information, or the information of each group.